Today’s guest blog is written by the AmeriCorps Alums staff who all started in AmeriCorps and was created with the support of our summer volunteer Alyssa Estrada. This year, and every year, over 70,000 Americans are finishing their terms of service with AmeriCorps and joining the alumni ranks – now nearly 1 million strong! Below are our top 10 things to know whether you’re a seasoned alum or just finished serving this year. 1. You have at Least One Superpower. It’s a bird … it’s a plane …it’s … Well, it’s still Superman. Maybe you can’t fly, but a year of service takes a superhuman heart. Click here to discover your AmeriCorps superpower (and the best retro superhero images Google search can find). 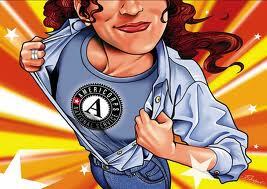 Once you know your superpower, share it with us and join the AmeriCorps Alums movement. 2. Everything will be Fine. 3. 200+ Employers already Know about AmeriCorps & Want to Meet You. Employers from the public, private, and nonprofit sector are interested in creating recruitment, hiring, and advancement opportunities for national service alums. Start your job search with Employers of National Service, some of whom will be attending our June 30th Virtual Career Fair (sign up here!). Talk to employers about the top skills that make AmeriCorps alums unique and watch one of our webinars on translating your service into a career. 4. Changing the World Takes Time. Don’t lose heart if you hit a roadblock. You won’t be the first AmeriCorps member, alum, or national icon to break ground on a new road when we need one. Use your Segal Education Award in the next seven years! It’s the best way to jumpstart your education or start paying back loans. Click here to view a list of schools that match the award or offer other benefits, check out schools that partner with AmeriCorps Alums here, browse our Event Calendar for our next Virtual Grad School Fair, and watch our webinar on the most effective ways to use your award. In the words of Nike—and now Shia LaBeouf—“JUST DO IT!” (albeit maybe not always at this volume). Whether your dream is to start a nonprofit, close the opportunity divide, or make sure everyone can put food on their table, you have the skills and potential to get things done (you’ve already proved that in AmeriCorps). 7. You’re Part of Something Bigger than Yourself. Check out the AmeriCorps Class of 2015 Graduation Video to see just how big it is. 8. Don’t Hide in the Attic. Be proud of being an AmeriCorps alum and take advantage of it! AmeriCorps Alums gets you free stuff and connects you to the people, ideas, and resources that support you after service. Click here for all the ways being an alum benefits you and join AmeriCorps Alums today! AmeriCorps members and alums have got talent, heart, and skills to spare. Share your voice and skills with the world. 10. Stand Up for Service! A year of service changed our lives, and we can’t wait to meet the next class of alums. But, we can’t take it for granted that we’ll have that chance. Right now, Congress is threatening to chop AmeriCorps in half. Tell them to fully fund AmeriCorps by tweeting and writing your Congressional representatives that you care about national service and believe it’s a critical leadership pipeline for America. 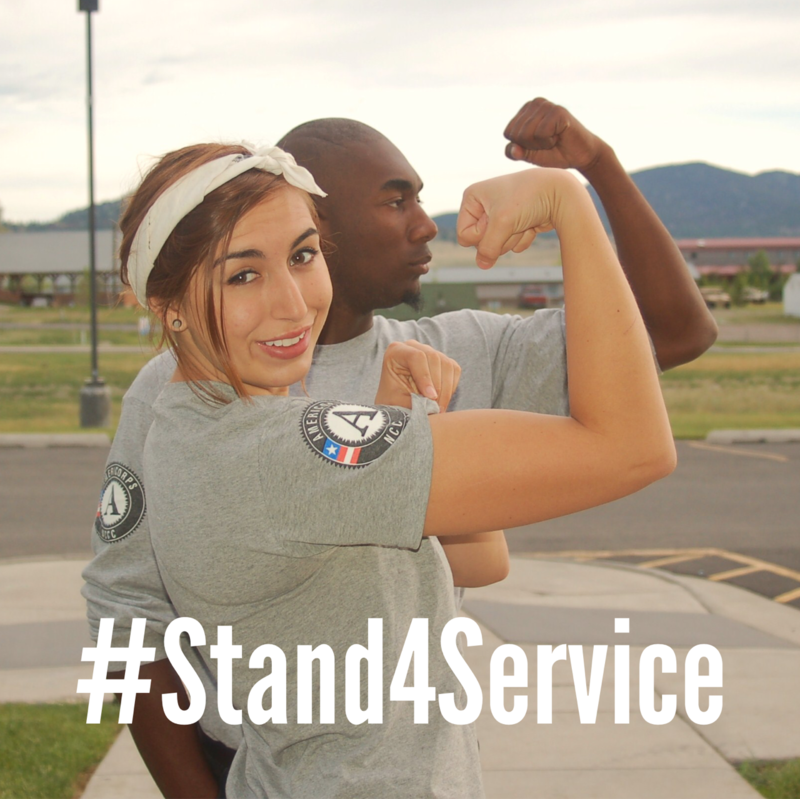 You can learn more too by following ServiceNation, Voices for National Service, and the Franklin Project at the Aspen Institute on social media as we #Stand4Service! Say something today!